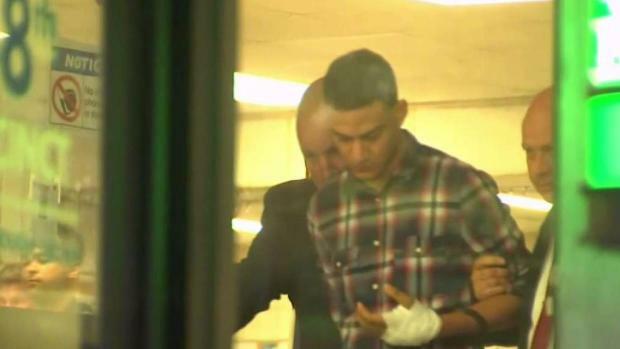 Modesto Cruz tearfully recalled how frightened the boy was as he tried to flee his attackers: "I remember his face, he was so scared"
The owner of the Bronx bodega where 15-year-old Lesandro "Junior" Guzman-Feliz was dragged and brutally slashed and stabbed outside by a mob of men is detailing the chilling moments inside the store before the vicious attack. 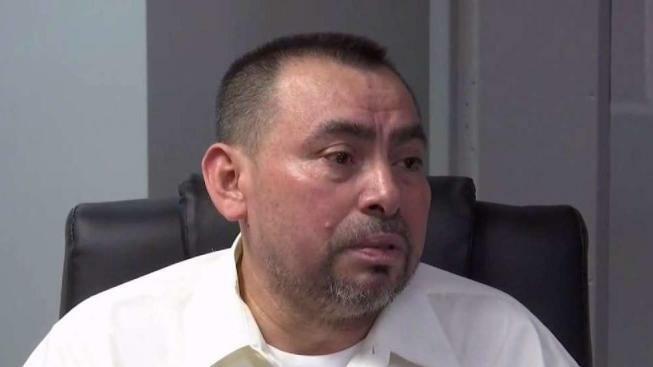 In a conference with reporters Friday, Modesto Cruz tearfully explained what happened the night the boy was killed in a grisly mistaken-identity machete attack. "He told me, 'They looking for me, they running for me.' I help him down," said Cruz. Surveillance video showed the teen jumping over the counter in an attempt to get away from the men chasing after him. Cruz, who was closing the store, at first thought it was a robbery. Mourners line the streets as the funeral for the teen killed in the vicious Bronx stabbing last week took place Wednesday morning. Katherine Creag reports. But Guzman-Feliz stayed down on the ground, and as the suspects stormed the bodega, Cruz said he tried to keep the teen hidden. "He was so scared. I remember his face, and he was so scared," he said. The attackers spotted Guzman-Feliz, and a scuffle ensued. Cruz said he was scared for his life -- the group had showed a weapon. Then the men on video grab Guzman-Feliz, drag him out, and slash and stab him outside. "Soon as they take him out from the store, I made my first phone call at 11:39," said Cruz. "I spent four minutes with operator, I was just telling him, 'Please, send the police, you already got my address.'" The surveillance video goes on to show the teen at the door after the attack, with Cruz pointing away. Cruz said he was trying to point him toward St. Barnabas Hospital the next block over, afraid the ambulance was taking too long. As hundreds marched to honor the teenager killed with a machete outside a Bronx bodega in an apparent case of mistaken identity, word spread that cops have made another arrest in the vicious murder. Gus Rosendale reports. 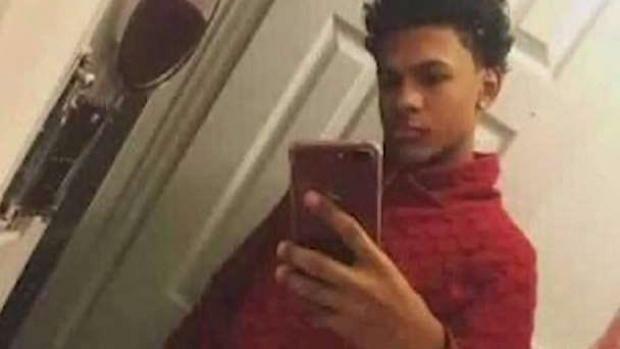 Now Cruz and his attorney are confronting the anger and outrage over the teen's death, with community members accusing the bodega owner of not coming to Guzman-Feliz's aid. Cruz said that like many in the Bronx community, he's shaken, saddened, and reliving those fear-filled moments in the bodega that night. "I don't know how to explain in English. I just want his mother to understand that the pain is not only hers, we feel the pain, too. We are part of the community," he said. Cruz's store remained closed for days after the killing as the sidewalk outside became the site of a sprawling memorial for the boy known as Junior. 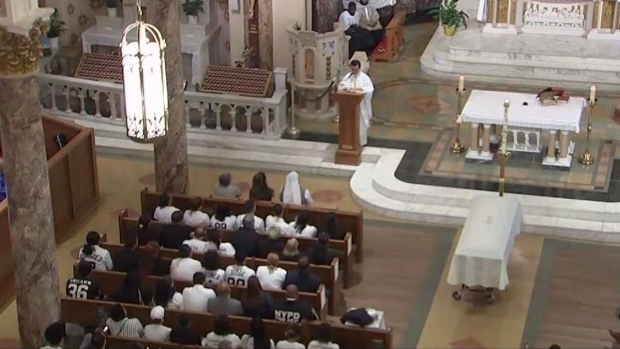 Guzman-Feliz was laid to rest following an emotional funeral Wednesday. Eight suspects have been arrested in his killing, six of them in New Jersey. All will face charges of murder and other crimes.